9 days and 1 holiday left. And, I am beyond happy. Far beyond. The last few weeks of school are always hectic for me because I always wait until the absolute last minute to complete gifts for my cheerleaders and students. And, during every project I tell Thomas “Next time, I’m starting earlier…” And, I’m right there again, making those same promises during the next midnight hour paint sesh. lol. One year, I literally stayed up all night completing gifts. No sleep. Not a wink. But, the gifts were cute which is really all that matters in the end. Right? The thing that makes these gifts so time consuming is that I love personalization. 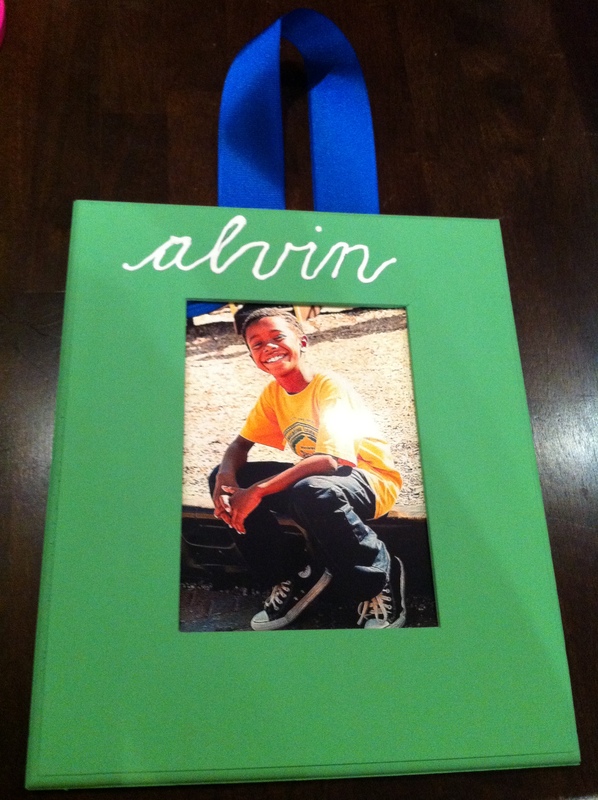 So, I make personalized gifts for each kid. 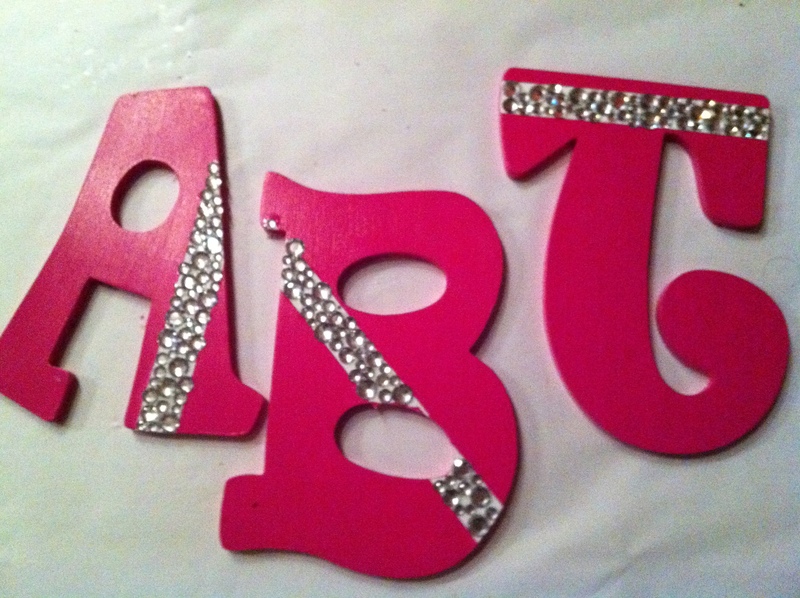 Initials, names, monograms, etc. It’s all personalized to the kiddo. Again, time consuming but because I have my priorities all in order, it makes the lack of sleep and complete social life shutdown worthwhile. Right? So you would think that 9 days before school let out, I would know exactly what I doing for my students. I have no clue. Not an inkling. 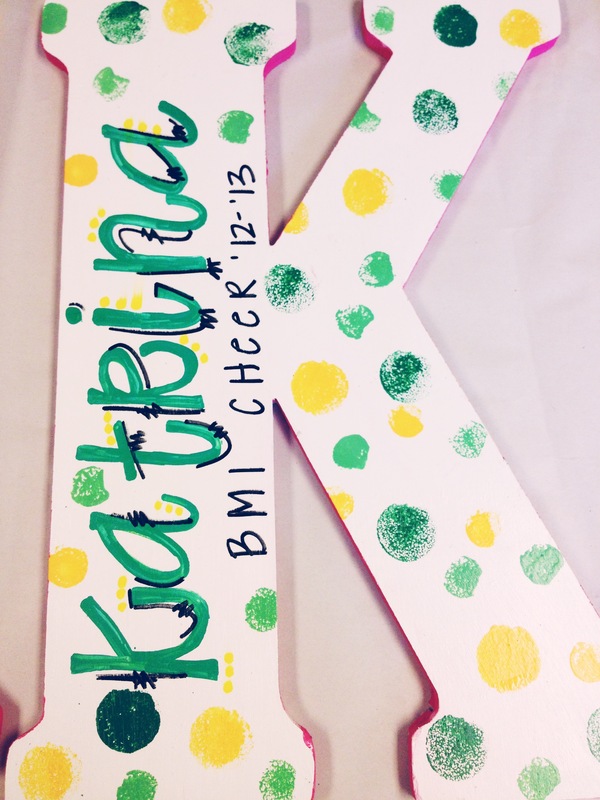 These gifts are from a couple of years ago and they are my absolute favorite student gifts in the world…. 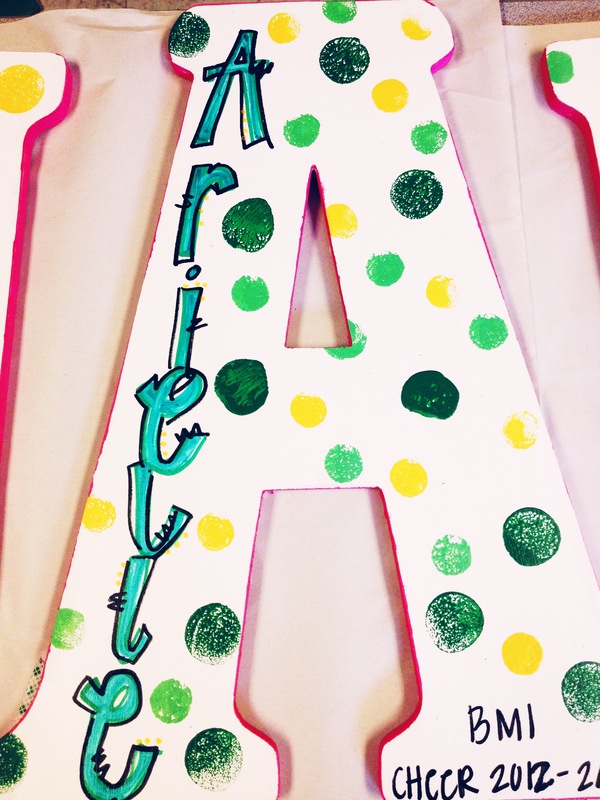 I also make my cheerleaders personalized gifts….. This is what they received this year! I think this may be one of my favorite gifts for them so far. 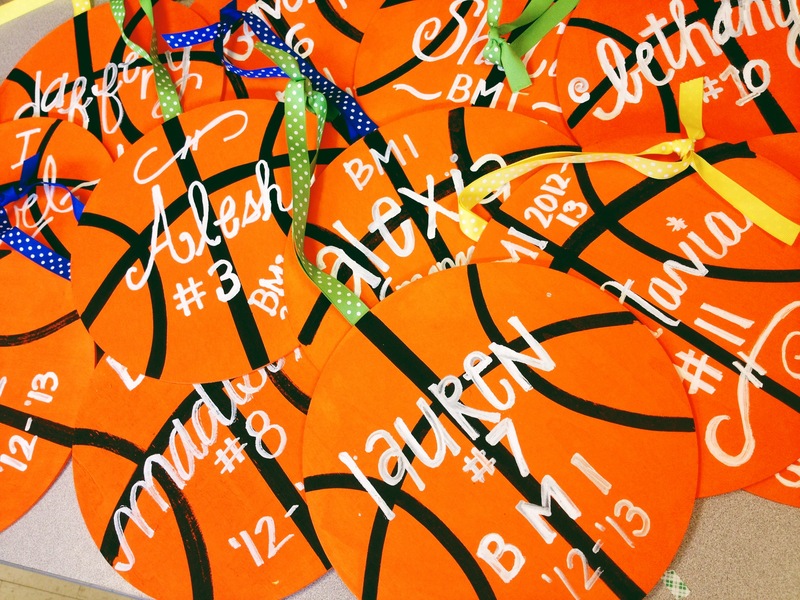 These were the girls’ basketball gifts for this year that I also painted….. When I tell you I literally prayed over these gifts, I’m serious! There was absolutely a bow your head – prayer hands situation that happened before I started drawing these lines. I was so nervous! But, I think they turned out really well and I’m really excited about them. I’m almost out of the woods with gifts… I’m nearing the end of the road……. I just need to get this last gift idea done! These gifts will be given out on the last day of school… so once these gifts are DONE… so is the school year…. summer can’t come fast enough. 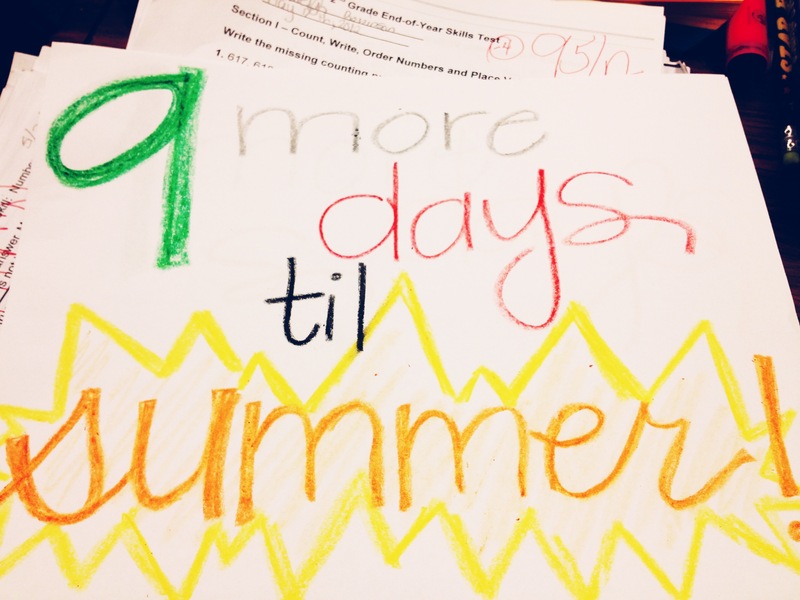 I only have ONE summer goal (so far)……. AS SOON as school lets out, I’m scouring Garden Ridge and wherever you go to buy plants and cute gardening gloves and tools. I’m even going all out with season/holiday themed garden accessories and those little stone frogs from Hobby Lobby. I’ve never gardened before, but I’m ready for the challenge that I’m sure it will bring. I am so excited and Thomas is already exhausted. lol….. I know I wear him out with all of my ideas and tasks but he’s so supportive and lets my little creativity flow in whichever way it takes me, which I appreciate so much!!! I’m excited. It should be fun. …. here’s to 9 days of school left and new challenges!!! !